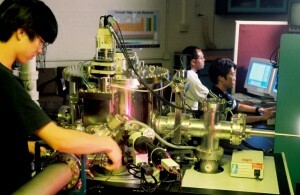 The JEOL NEOARM is a scanning / transmission electron microscope, equipped with a spherical aberration corrector for the probe-forming optics. 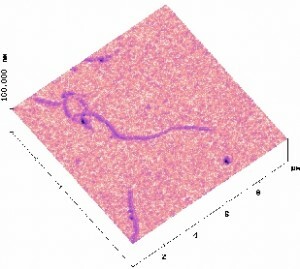 This corrector has improved stability and optimizes 5th order aberrations, leading to <0.7Å imaging at 200kV, and <1.6Å at 30kV. The instrument is a high-brightness cold field emission instrument. It is equipped with two large area energy dispersive x-ray spectrometers that permit rapid atomic-resolution EDS mapping. It is equipped with a Gatan Image Filter, incorporating DualEELS capability to ensure accurate energy calibration and a K2-IS direct electron detector at the end of the filter. This detector has a detection quantum efficiency that is close to 1.0, and thus allows high sensitivity, leading to the detection of very high energy losses. The detector also allows 2k x 2k image acquisitions at 400 frames/second, and 512k x 2k image acquisitions at 1600 frames/second, making it optimal for in-situ/operando microscopy. 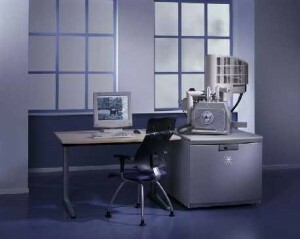 The instrument has STEMx capability, which allows rapid collection of diffraction images during STEM acquisition, and which thus allows ptychography, strain measurement, and other novel forms of quantitative image information extraction. This JEOL NEOARM is the first to be installed in the U.S. 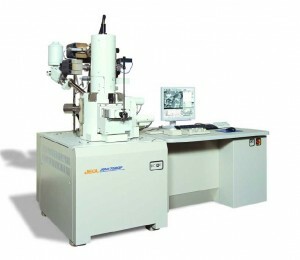 The JEOL F200 is a 200kV scanning / transmission electron microscope with a cold field emission source, two large area energy dispersive x-ray spectrometers, and Gatan OneView IS camera for in situ/operando imaging at 30 frames per second. It incorporates STEMx capability. A ThermoFisher Krios cryo-EM – will install in the fall of 2018, following an extensive facility retrofit to ensure an ultra-low humidity space for both the instrument and the associated sample preparation facilities. The Krios is a dedicated cryo-EM, with an autoloader for high through-put sample observation, and a Gatan BioQuantum electron energy loss spectrometer equipped with a K2 Summit direct electron detector. The associated cryogenic sample preparation laboratories will be extensive and are expected to include facilities for cryo-plunge sample preparation, high-pressure freezing, and cryo-ultramicrotomy. This Tool will be available for use in 2019. 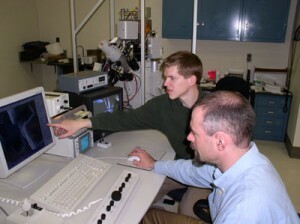 Atomic force microscopy is conducted with a Digital Instruments Dimension 3000 and Multimode AFM’s. These are versatile AFM’s with capabilities ranging from atomic scale imaging to electro- and magnetic force imaging to fluid cell imaging. The Dimension 3000 AFM is located in the Quatrone Nanofabrication Facility, which allows for observing samples in an ultraclean environment and free the need for FAB users to leave the cleanroom to analyze their samples.